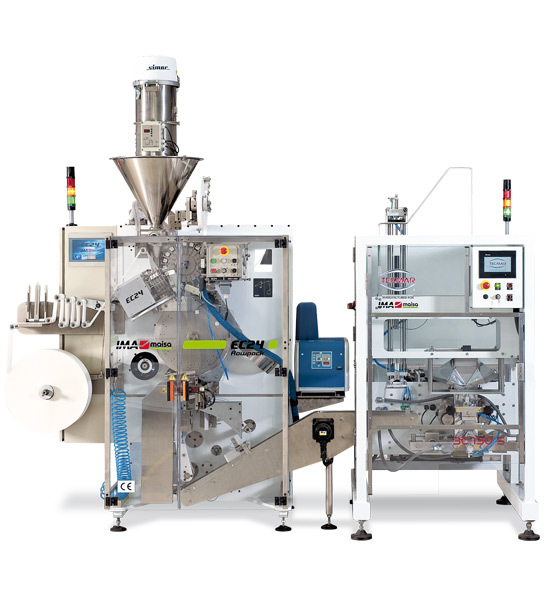 This evolved model is intended for the auromatic packaging of tea in bags of thermosealable filter paper, with yarn and label. An alliance between IMA MAI S.A. and TECMAR S.A., two leading companies in their sectors, offers the best solution in the market. The EC24 Flowpack is the perfect solution to place your tea bags inside a hermetic raft of fl exible material. 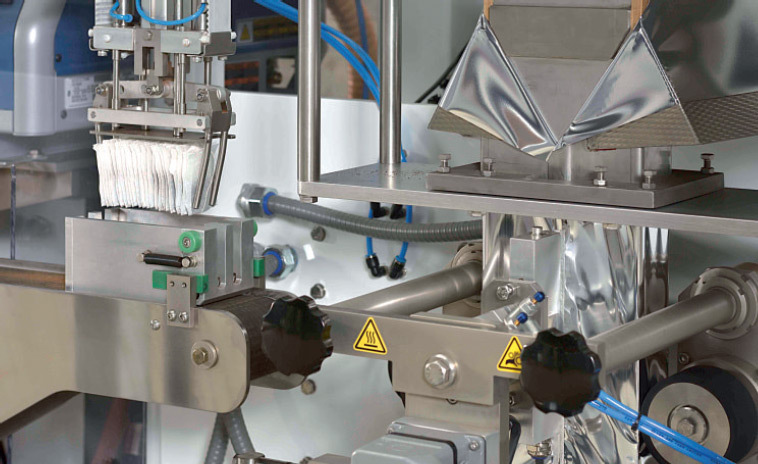 The EC24 Packer prepares the tea bags, groups them and moves them to a discharge area. 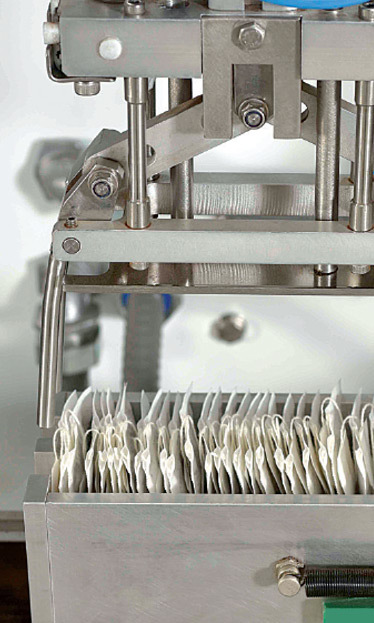 In a second operation, a pick and place takes the stack of tea bags, and then introduce them into the bag. 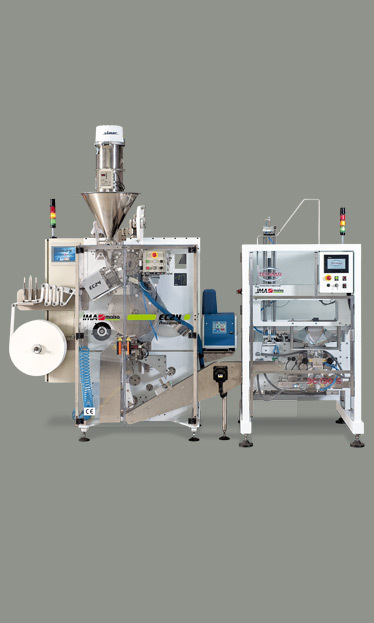 At the same time, a vertical machine makes and closes the bag of flexible material. The set consisting of two machines and specially designed for this function, works completely automatically and is easy to operate. Heat-sealable coil of 16.5 g / m2. One kilogram yields 9600 bags of 50 mm x 60 mm. Nominal English 12/2 (Title 20), white. No knots, in 1.8 kg cones. One kilogram yields 51100 bags. In a coil of 20000 double units, printed and stamped on 70 g / m2 paper. Thermofusible, composed of thermoplastic polymers and suitable for high production speeds. 240 naked bags per minute. 6 cm3 (maximum). 2.2 g of BOP Tea or Fannings (approx). 32500 cm3 (approximately 12 kg of tea). One operator every three machines. 2342 kg (1664 kg + 678 kg). L: 3325 mm x H: I610 mm x H: 2200 mm.